The Last Tradition: He was a Screw Up: Texas church shooting Who is gunman Devin Patrick Kelley? He was a Screw Up: Texas church shooting Who is gunman Devin Patrick Kelley? Anybody who gets a bad conduct discharge from the military is a red flag for being a screw up, a loser, a good for nothing for the rest of his life. 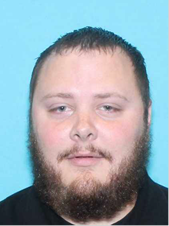 Fox News reports the gunman suspected of opening fire at a church in Texas on Sunday has been identified to Fox News as 26-year-old Devin Patrick Kelley. The gunman previously served in the U.S. Air Force, an Air Force spokesperson confirmed to Fox News. Kelley served at Holloman Air Force Base in New Mexico from 2010 until his discharge in 2014. Kelley worked as a security guard for a Texas waterpark this past summer, according to a resume under his name that appears online. Investigators said Kelley didn't appear to be connected to any organized terrorist groups.